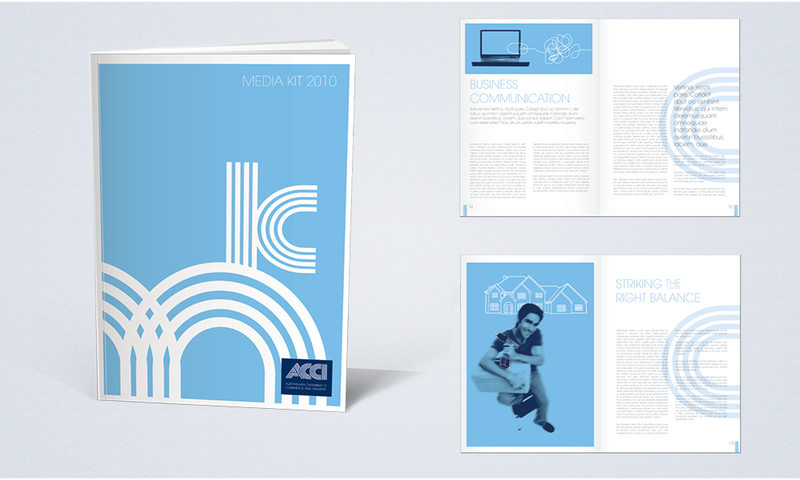 When ACCI required a brand audit I recognised the need to retain the current logo and brand equity while standardising the appearance of the name and refreshing the colour palette. Of course the trick was to retain the integrity of the brand while simply refreshing the look and feel. So a careful refresh was in order. Ultimately I developed a consistent logo lock-up, a refined two-colour palette, and an ownable, flexible blend of images and graphic elements. The retro cool of the logo has been brought to life with the use of ‘UN blue’ while the deep navy is retained to add a certain weight and trustworthiness.